I feel lucky that I've been able to travel and work around the world, knowing and meeting so many people along the way. Now that I’m living in Europe, I also get time to recharge my batteries at home with family and old friends. 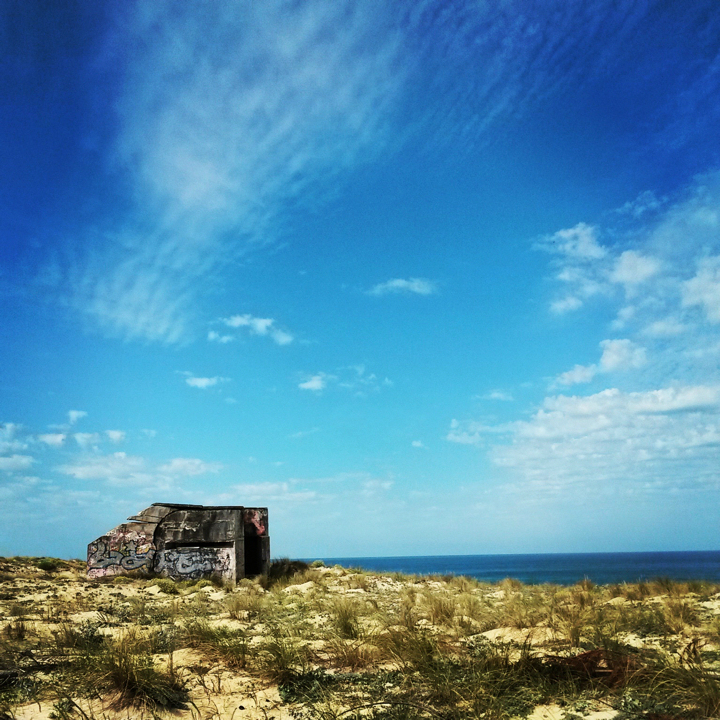 I’ve covered a lot of miles over the past few months, either driving or flying to places around Europe; exploring France and its many islands, as well as going back to the UK a few times. It's one of the reasons I now live in Europe, everything is so close and it's easy to travel a few hours and be in a different country with different sights, different people, cultures and customs. It makes for an interesting mix. 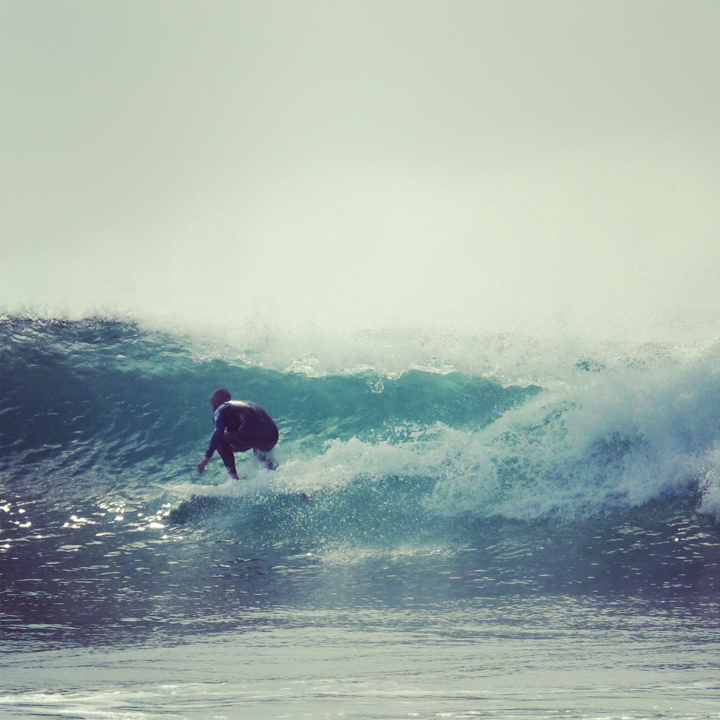 After coming back from Morocco, I spent a bit of time travelling and surfing up and down the France’s South West coast. Huge winter storms and swells had formed a lot of really good sand banks up and down the coast, creating perfect surf spots. 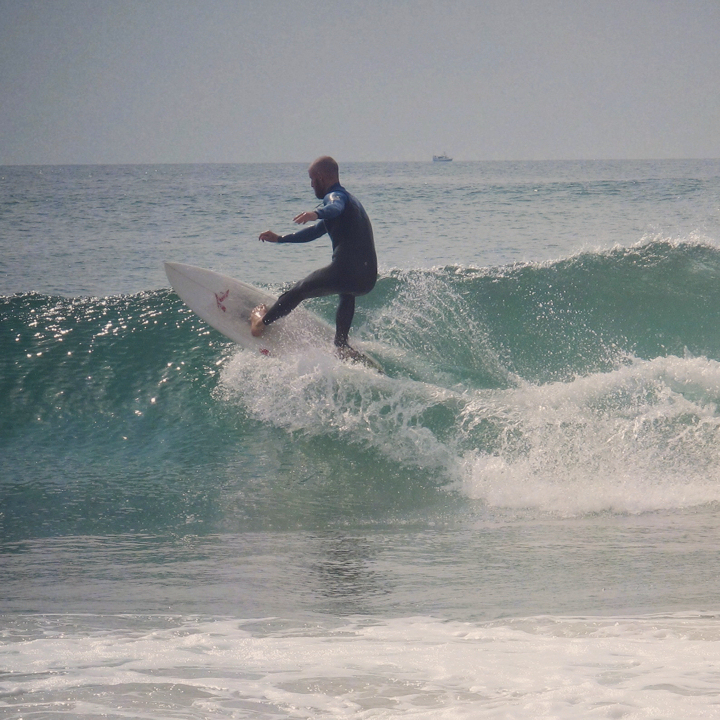 Because of knee surgery it had been 6 months since I had stood on a board of any sort, so I had to get surf fit again.....one too many cheese fondues during the winter season had also played their part! 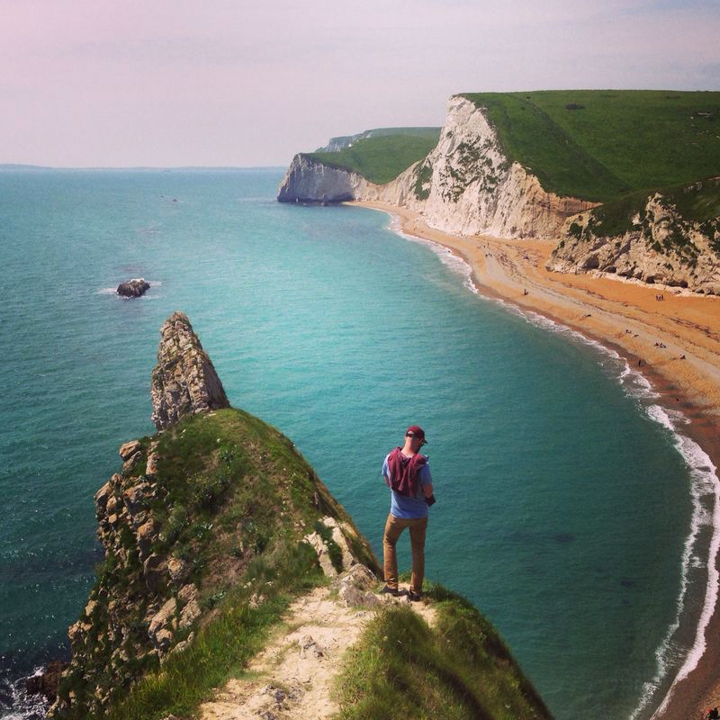 During this time I was also able to spend time with new friends and explore new places in the UK like Dorset. We visited a few lighthouses, some really nice seafood restaurants and the famous Durdle Door, a natural archway in a limestone cliff leading out to sea. It's beautiful; the water is so clear and crisp with great colours, it’s an impressive place. Dorset is definitely worth a visit. We went with the intention of relaxing, seeing a beautiful coast line and country side, eating good food and drinking a few brews… this is exactly what we got. Some friends and I also ventured into the Basque country and parts of Spain to enjoy tapas delights and drink Rioja wine, a must when visiting that part of the world. 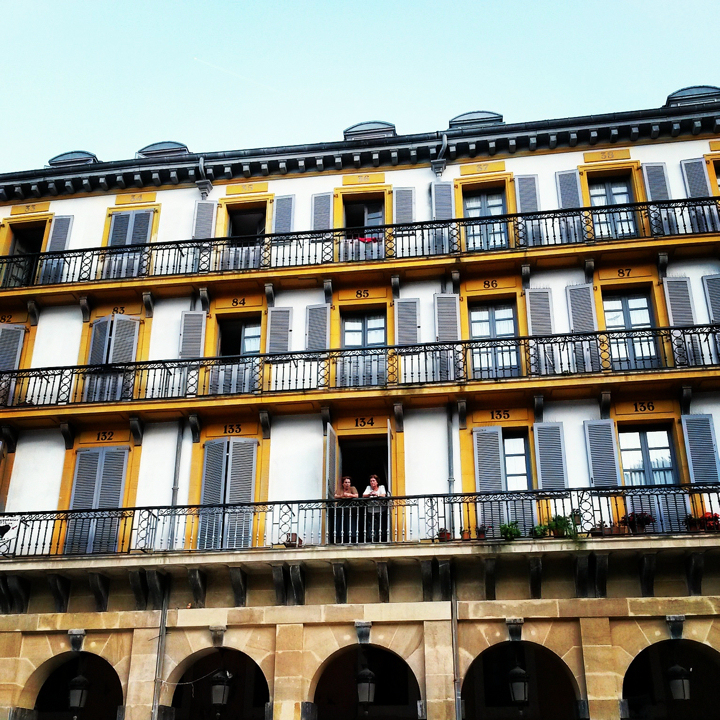 I've always found San Sebastian buzzing with life and energy. The locals are fast talking and they love their afternoon siesta! After a snooze, you can expect a good night out and find yourself still awake in the morning to a sunset over the harbour. My friend Tommy and I had the opportunity to spend the night in a surf school hut on the beach. The owner needed a night off guarding the hut to spend time with his family, so with 4ft waves forecast the next morning, we were happy to oblige. Once again, my Pally'Hi Nap Bag came in real handy. We slept on a wooden deck and awoke with waves at our feet. It was hard to get out of the toastiness of the Nap Bag! We visited the famously lively Fete De Bayonne near Biarritz, which is held every first Wednesday of August. Literally everyone is dressed in white with red neck scarves, which are the traditional colours of the region. 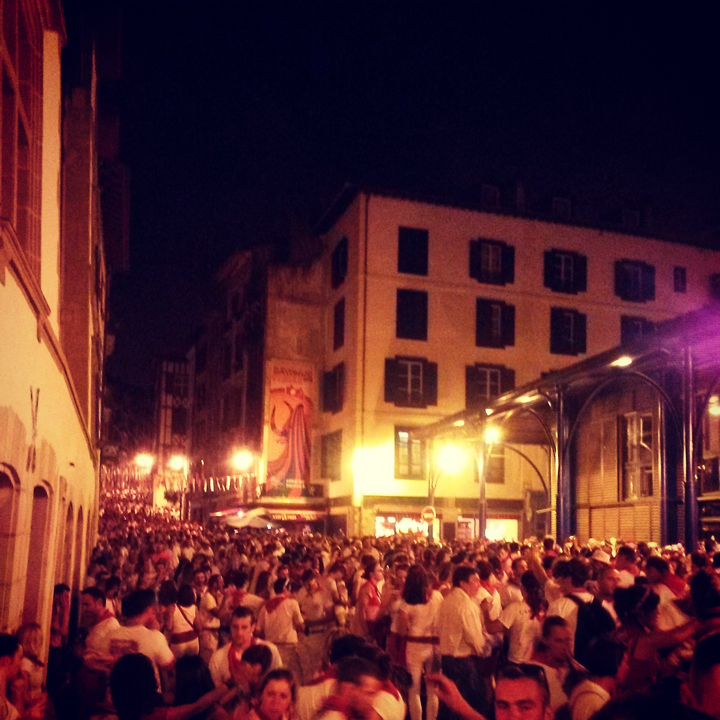 Once everybody has gathered, the crowd proceeds to the narrow streets of Bayonne, eating, drinking and dancing about. This goes on for about five days! It's a great experience. The town itself is a cool place to visit with the river Nive running through it. There you'll find heaps of really good fish restaurants and awesome wine. The Bayonne locals claim to have invented mayonnaise too. All this, and the Germans won the World Cup! I was working in a German Surf Camp watching the final with the place packed with nervous German onlookers, tense times!! Of course I haven’t got the time to tell whole story, so hopefully the shots of Pally’Hi and I on our travels fill in the blank spots. 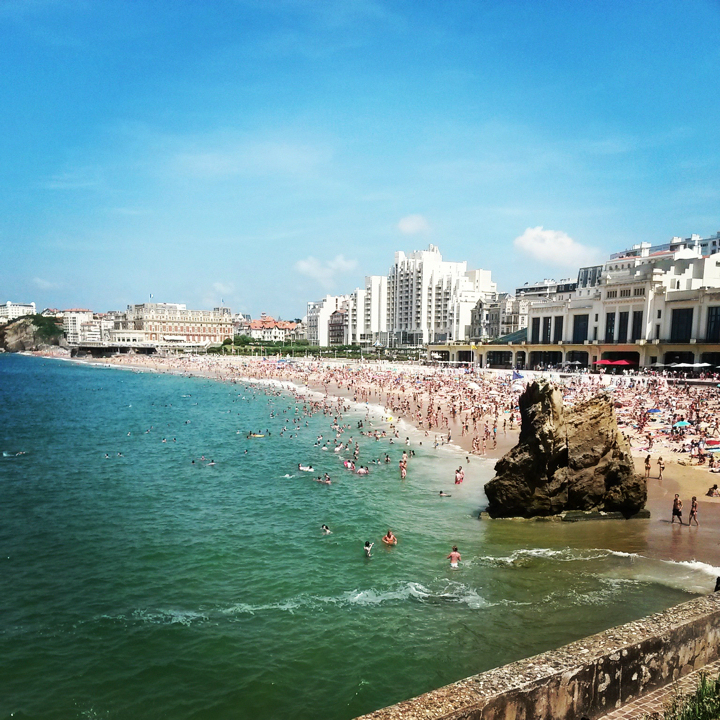 The summer crowds at Biarritz... inspiration for many of the Basque regions surfers to spread up and down the coast. Dinner is served. 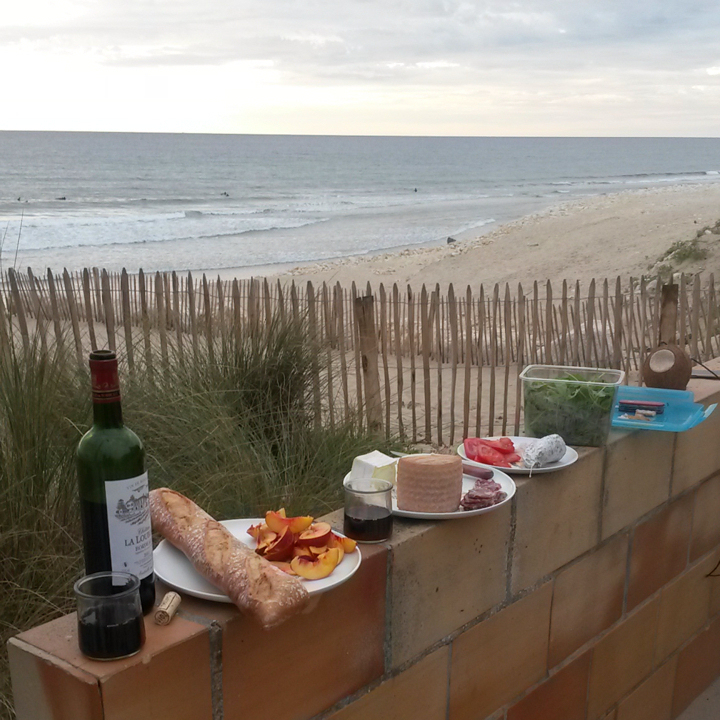 Nic lays out his typically French dinner on the world's narrowest dining table. 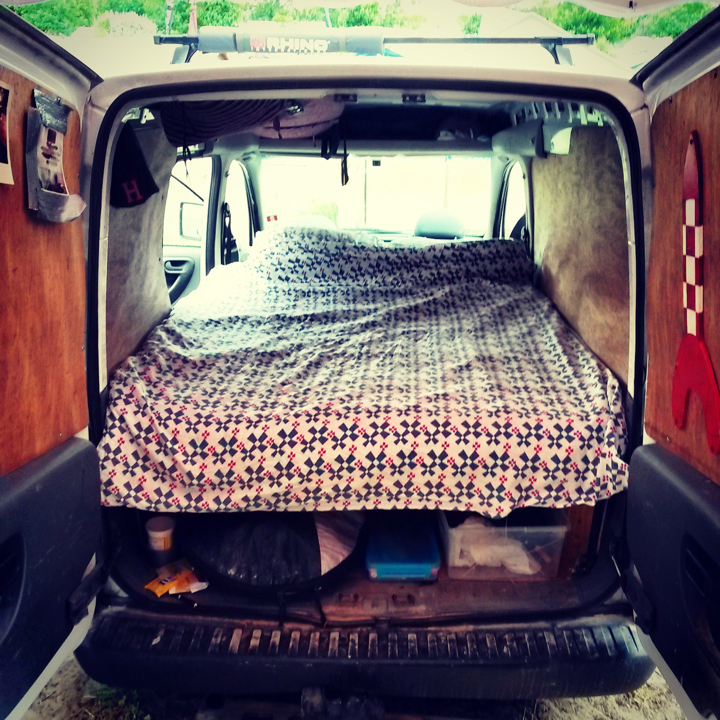 People who say living in a van is cramped obviously never spent a night in Nic's wheels. On the way to Dorset, UK, but the first stop to any visit to the UK has to be London. 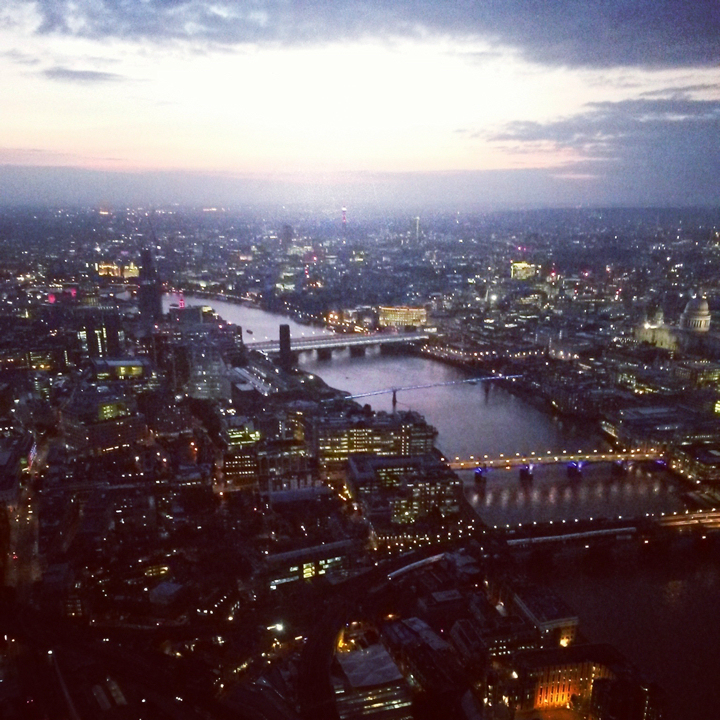 Nic captures the skyline from the Shard, London's tallest building. 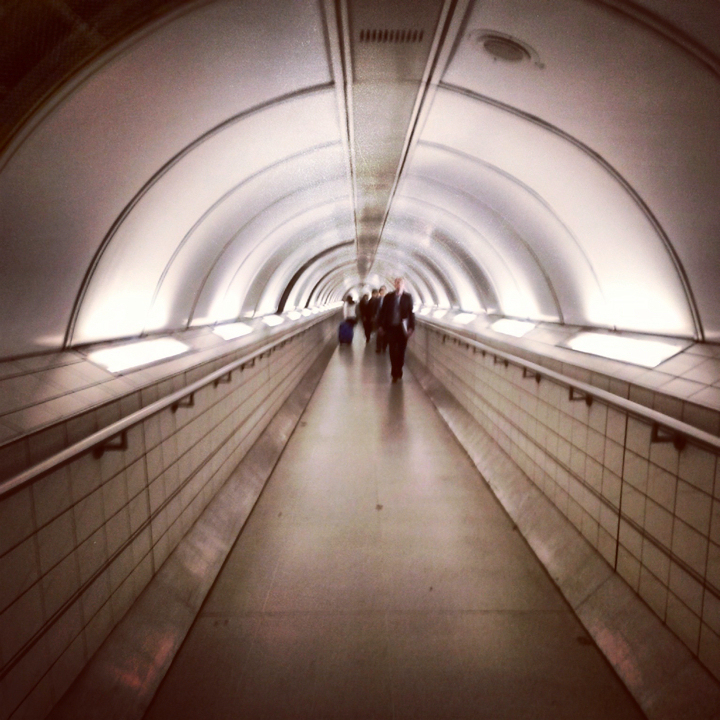 Nope this isn't a scene from 2001 a Space Odessy, this is the London Underground. 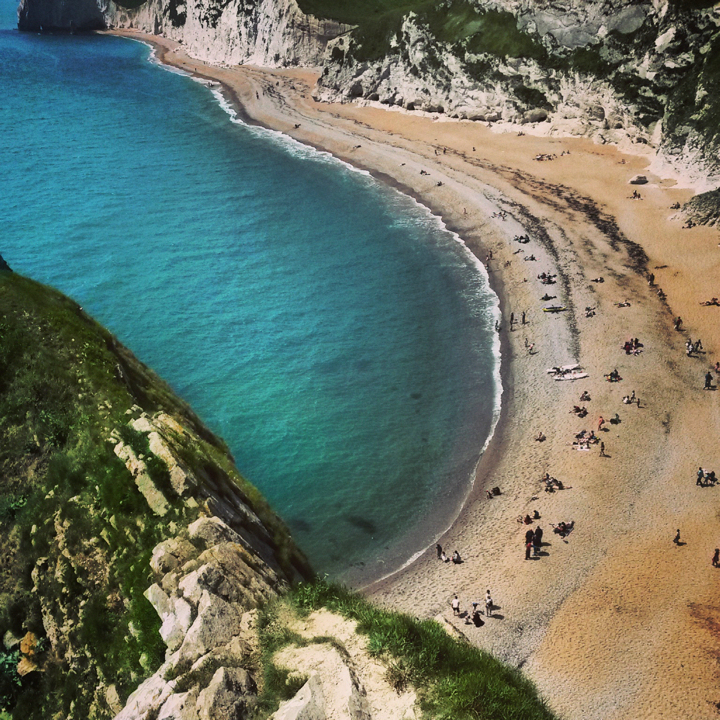 From the hustle and bustle of London to the chilled-out coastline of Dorset. 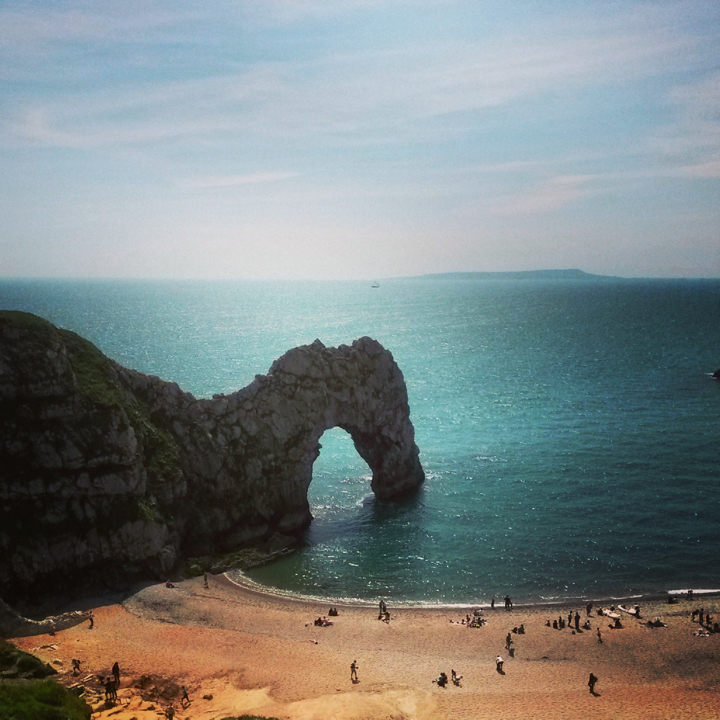 This is Durdle Door.